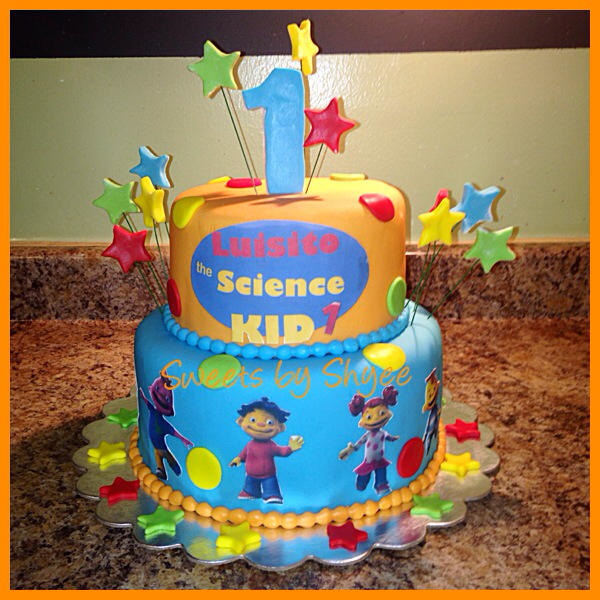 If you’re the parent of a kid who loves watching the animated show Sid the Science Kid and are interested in throwing a fun-filled Sid the Science Kid party, simply continue reading to discover a few tips on how to throw the ultimate Sid the Science Kid inspired party. As an example, you can’t go wrong baking or ordering Sid the Science Kid cupcakes. Which are a much better idea than baking or purchasing a cake as kids tend to have small appetites and usually much prefer individual cupcakes than a slice of cake. If you’re looking for inspiration you may want to opt for cupcakes which all feature Sid’s face on them. Although, if you’re looking to be a little more creative, you may want to consider placing Sid’s three best friends on some of your cupcakes too. As an example, you may want to use some of the songs which feature on Sid the Science Kid during a fun game of pass the parcel. If you never played pass the parcel as a kid, basically get your group of kids to sit in a large circle and to start passing around a present which has been wrapped in various layers of wrapping paper. Ensure to place a small treat within each layer of wrapping paper. Each time your music stops, the kid holding the parcel gets to unwrap a single layer of wrapping paper and gets to keep the small gift which they find. Before the music starts again and the process is repeated until the last layer of wrapping paper has been removed to reveal the winner of the game, who gets to keep the major prize. If you can manage to find a Sid the Science Kid toy, you may want to wrap it up as the main prize for your pass the parcel game. As Sid and his friends spend each episode searching for the answer to science questions. You may want to incorporate simple science experiments into your kid’s party. As an example, you may want to teach your kid and their friends how to create rockets using mentos and coke. Or how to make their own custom slime, which they’ll then be able to take home as a party favor. If you’re interested, it’s well worth researching a variety of different science experiments to ensure that you pick experiments that your kid’s friends will love! As Sid the Science kid wants to become a comedian, it’s well worth placing a few kid-friendly jokes into each of your guest’s party bags. To keep with the Sid the Science Kid theme. So if your kid is a huge fan of Sid the Science Kid, they’ll absolutely love being surprised with a Sid the Science kid birthday party.